General speaking, search application is easy to use. All you need is to insert the application name to search. What if you don’t know the specific application name? If so, App Store and Google Play won’t help much for the search. GIF nearly becomes a new communication means. At TNW European conference, Adam Leibsohn , the CEO of Giphy, talked about how GIF replace conversations and become a popular communication means in the world. He assumed that one should not type several paragraphs when communicating with others on social networking platform with the helpf of GIF. To make it a short story, GIF is excellent and welcome by most of people. Why is so difficult to search a real good GIF editing app? If you search GIF editing app at App Store, you could only get some irrelevant results. It even listed out some emojis and color characters. Such results are not about GIF editing app. You might have heard of Product Hunt. Someone recommended a GIF Toaster on Product Hunt. GIF Toaster was released in 2014 and updated with some new features on this June 24. To be specific, GIF Toaster added the GIF transformation function. App Store also has the similar app, however, it requires one to search one by one from the results. GIF Toaster is far from perfect. You need to pay $1.99 to decrypt the features inside the software. It is considered as the best GIF production and editing app on the market. It is a mutliple GIF app. It won’t beranking front in GIF app search unless you search the “video transform into GIF. Apple needs to improve its apps on the aspect of language, algorithm and sorting. When you are unable to search the apps at App Store, you have to turn to the third party products. It would be great if Apple improve its App Store for better search experience in the near future. With the development of mobile internet, the means of obtaining news have been changed. The traditional news websites or mobile news apps gradually lost their advantages. It reported that the teenagers are most of reading news from Snapchat and Twitter nowadays. Some survey showed that the teenagers from 13 to 18 years old, on whom spent 9 hours reading entertainment content, obtained the news source most. It is said that many of teenagers won’t use new apps to browse news. They obtained news on social networking platforms where news has been editted or chosen. Facebook, whose content is enrich, has lost attraction to the youth. More and more teenagers reply on Snapchat and Twitter reading news. “If I find some interesting news on Snapchat, I would share them with my friends by using the sharing feature,” said teenager Isabella. She claimed that she often read news on Buzzfeed of Snapchat. It has been a long time since she read newspaper last time. 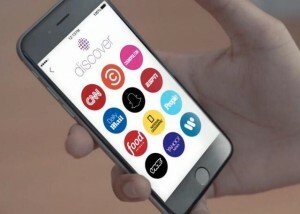 According to the report of Variety, 44% of Live Story and Discover users check news at least once each day. 30% of Snapchat users also considered these two services as important platforms to obtain news concerning the 2016 general election. 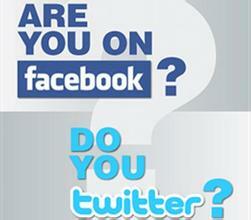 There are both advantages and disadvantages obtaining news from social networking platforms. It was spread fast. Some news spread without confirmed, which leading to rumors. Though users may encounter risky news, they still have faith in reading news on social networking platforms. The news concerning Microsoft acquired LindedIn became widely concerned. It spent $ 26.2 billion to acquire LindedIn. LindedIn co-founder & CEO benefits a lot from this acquisition. In the meanwhile, he might need to pay for a great amount of tax. Up to February, Hoffman held 11% of LindedIn shares. Considering the acquired price for each share is $196, he will make over $ 2.8 billion. He lives in California. The tax he pays will be in accordance with both California tax law and Federal tax law. The Capital gain tax of California is 13.3%, so he possibly pays $ 370 million. Plus the Capital gain tax of Federal is 23.8%, he needs to pay about $ 1 billion in total. “It is a good news that Hoffman earns a great amount of sum. In the meanwhile, the California government will receive a great deal of tax,” said Daniel Morris, the co-founder of Morris+ D’Angelo accounting firm. It is not clear which measure Hoffman will take to avoid paying tax. Morris explained Hoffman has several options. First, Hoffman could donote $ 1 billion or more to charity organization. Hoffman and his wife Michelle Yee are high profile philanthropists. They once donated millions of Zynga shares to charity organization. Another option is that Hoffman could make limited investments. He could put his assets into the startups to postpone paying tax. To California, this capital gain tax is timely as its tax revenue declines. Fewer IPO and share selling and acquisition are the reason why the government received fewer revenue. What features you expect for updated Apple Music? Apple introduced the updated Apple Music at WWDC 2016 as reported. Its main interface becomes more simplifier and features meet the need. The classifications, font of options have been adjusted. It refreshes the users. Apple senior vice manager Eddy Cue announced at WWDC that Apple Music’s subscribers have reached 15 million since its release. It became the fastest-growing streaming music service. Then its sales supervisor Bozoma Saint John introduced the newest Apple Music features. Once users run the App, they will find out the difference on the main interface. Its major menu has been adjusted to “Library”, “For You”‘ “Browse”, “Radio” and “Search.” It deleted the previous section of “New”, and added “Search” feature to be one of its major features. When users visit its home page, they will find “Library” replaced ” For You.” The reason why Apple adjusted these elements is that many listeners are get used to listen music through their “Library”. Therefore, Apple adjusted ” Library” to its home page. Apple set five sub-menu options for “Library” for listeners to manage it easily. The sub options are “Playlist”, “Artist”, “Album”, “Songs”, and “Download Music.” The latter is the new feature added where classifies digital songs were bought by listeners. It updated with a Lyrics feature as well. Listeners could listen and sing when they are working. However, Siant John did not reveal more details concerning its compatible languages. Maybe the updated Apple Music is far from perfect, it still won likes as it adjusted the features based on the marketing feedback. It will be debut in this autumn, along with iOS 10. It is compatible for Apple iPhones, Apple TV, Mac, PC and Android devices. Will Twitter be acquired next year? Suntrust Robinson Humphrey analyst Robert Peck claimed that if Twitter fails to solve the problem it encountered, it might be acquired by other company in 2017, reported Bloomberg. As the target of a merger, Twitter still has attractions. Peck insists its buy rating for Twitter shares. Peck assumed it will be acquired in 2017 if Twitter fails to improve the bad situation. 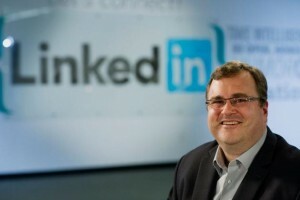 Google, Facebook, Apple and even some traditional media companies are its potential purchasers. Twitter encountered the brain drain recently. It is reported that some senior directors left the company. Peck considers it is in a worrying situation, especially that Facebook, Snapchat and Instagram all develop well in this field. In the past year, Twitter’s share price declined by 60%。 Now, the Wall Street analyst priced Twitter’s average target price at $18, while it was closing at $15 on Monday. By contrast, its average target price was at $ 47.83. Cowen and Company analyst John Blackledge only gave $ 38 for its share, while Peck priced at $44. It was previous estimated that Twitter might be acquired in the beginning of this year. Twitter obtains 300 million worldwide users, however, it was exceeded by other social networking platforms. Even though the revenue keeps increasing, it is still hard to make profit.